Well, once again, it has been proven: Scientology--it's always way stupider than you think. called "Why pray when you can Postulate?" So, did COB really say that in a recorded speech? Or, was it made up by me, or someone as a joke or parody? Yes, you say, but it's far too ridiculous to be real. What about "Scientology--it's always way stupider than you think" ? Each man, woman and child will have to look deep within themselves to find the answer of whether that speech is authentic or not. This is ESMB. We don't evaluate for people here. I'll take a stab at answering your question sir! I say the quote is actual Sherman Speak, actually spoken by the dwarf. If it's not, well you might have a future as a Sherman Speak ghost-writer to be employed in times of emergency such a Sherman getting a quick wash & rinse in the RPF. Such a delicious word salad; it could only have been written by that master wordsmith, Dan Sherman, while rocking himself into insensibility at sunset on his porch to infinity. Who wrote "Scientology is always worse than you think?" Regarding your analytics & conclusion, I must congratulate you for having the highest test score of anyone to date! Out of a potential and perfect 100 points, you have achieved the extraordinarily high score of 50 points! While you appropriately concluded that Dan Sherman was the rhetorical source of COBs speech (excerpt above), you had points deducted for failing to acknowledge that said speech was in fact discovered & channeled in whole by Don Hubbard1 (see rare archive photo in my Avatar). To date, no independent verifications, records nor recordings of this COB speech have been located and thus the authenticity of the speech itself has been called into question. In response to numerous claims and complaints that said speech was in fact a hoax, Don provided more than adequate scientific support to debunk those allegations by turning in worksheet pages from his own personal auditing sessions--wherein he routinely had wide F/Ns upon originating "Really, man, I like totally didn't make it up or whatever!" 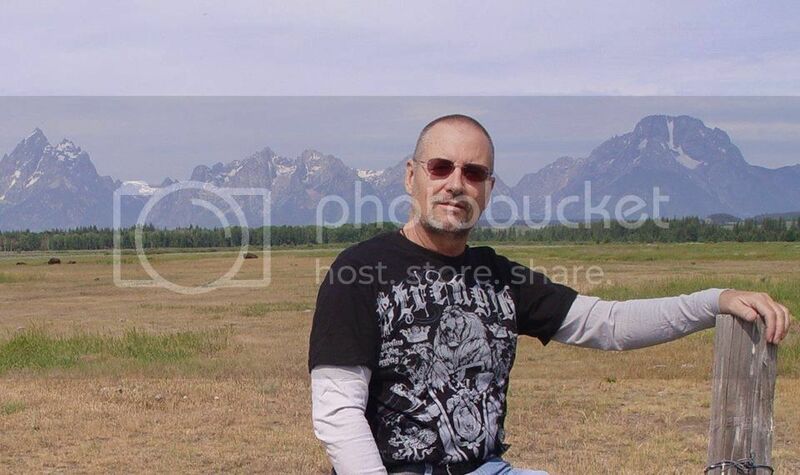 1Don Hubbard, estranged twin brother of Ron Hubbard, is likewise a self-help author, noted vagrant and internationally celebrated OH (Operating Hobo). You are such a clairvoyant, HH! Where'd you find that crystal ball anyway? First you channeled Hubtub on green on white and red on white - so perfectly that a few people were fooled, and now it's the Dan Sherman Show with Shermanspeak and his crazy midget! Moore! This is great stuff! Well...if this don't beat all. Jamie Foxx has snapped terminals with Tom Cruise and is now thoroughly in Tom's valence!! He then helps somebody in a car accident! "Being a Scientologist, when you drive past an accident, it's not like anyone else when you drive past. "You know you have to do something about it because you know you're the only one that can really help. Phil Jones has had his 2 children stolen from him and manipulated against him where the CULT will not let him talk to them (for years) and they have disconnected. Phil was in for some 35 years, before departure from it all. Emily was in RTC, David Miscavige secretary 12 years and has seen sociopath Miscavige conduct. She now works at ASI. Phil has tried HARD to be in touch with them. The CULT enjoys Emily and Mike's slave labor and stats while cutting them off from their parents. Today Phil Jones created a WANTED poster. Good for you Phil ! That reminds of of something I've been planning to mention. Something incredibly stupid in Scientology. The entire fabric and structure of Scientology has been designed and built to produce one thing and one thing only. End Phenomena. The stellar Homo Novis supernatural abilities. It all began with the very first "EP" in 1950, the EP for "Clear". Hubbard, not satisfied he could sell just one (1) supernatural power, decided he must bundle an entire assortment of superpowers into that new spiritual state. Perfect memory, no physical illness, et al. Well, the claimed EPs for "Clear" are quite extravagant and continuously changing! Here's an outstanding (and shockingly delusional) list of some of those "EPs" that a Clear was expected to have for the past 66 years. correctness of computation by entering hidden and false data in it. effect, capable of assuming cause over anything. and control, erase, or re-create an analytical mind or reactive mind. his surroundings and without a reactive or subconscious mind. definition of Clear is found to be correct. from human being to total freedom and total beingness. wholly himself and can follow his own basic purposes. mental matter, energy, space and time as regards the First Dynamic. slang and can apply to a chain, an incident or a computation. completion of the Clearing Course at an Advanced Organization. beyond anything envisioned by such investigators as Freud. and future, as well as for the subjects along the other dynamics. 1991: Now the state of being cleared was what confused the issue. good question. Data accumulated, but not as fast as the questions. The people, cleared, would be better, feel better, be more moral, etc. of "being cleared." Absolutes," in our Axioms, "are unobtainable." data he has and from his viewpoint. both careers and inter-personal relationships. himself when he goes Clear. ....2016: A Clear is a person who has the ability to make up endless and different definitions of the word "Clear" at will, along with the bonus ability to fabricate very fancy sounding superpowers that never have to be demonstrated. Oh damn, there is yet another stupid thing about that quote from L. Ron Hubbard on that rundown's EP. That particular EP (above in red) comes from the confidential LRH taped briefing (March 15, 1969) on the Apollo called "Conscience - The Reason Beings Won't Use Their OT power". I am not sure what ever happened to the so-called "Conscience Rundown", but the first process was the following, 2-part commands (run alternately to EP). What must a thetan never do? How can a thetan prevent themselves from doing that? At the end of the rundown the being is guaranteed to attain the ability "... to never succumb to the MEST universe's dwindling spiral", pretty amazing ain't it? Here's a typical Success Story published at that time people were being given the "Conscience Rundown". They were expected to both voice the ability to avoid the dwindling spiral AND also some new (recovered) OT ability that "turned on". Then they could attest. that's exactly what happened. I know I will never be the same again! The supremely stupid part of the EP for the CRD (or any other EP) is that Scientologists parrot whatever they are told the EP will be. The command could have just as easily been: "From where can a thetan communicate to Ron's bank account?" Oh yeah, I would be remiss if I didn't mention that all of the above Rundowns, commands, EPs, taped lectures, LRH quotes and success stories are all a hoax. Hey, my street cred's on the line here, what do you expect?! This definition pretty much sums it up. The supremely stupid part of the EP for the CRD (or any other EP) is that Scientologists parrot whatever they are told the EP will be. The command could have just as easily been: "From where can thetan communicate to Ron's bank account?" I just went out-list on this squirrel process. Thanks, HH. Now I'm up the pole, buttered all over the universe, having become a cropper after going apetite over tin cup while being the only one! Can you say, PC Type B? I found this Ad on facebook hilarious. EEEEEEEEeeeeeeks, the psychs again ! My son found this cult parody in GTA 5. It isn't dead on, but it does start with a personality test. The first question in the personality test is "Do you have red hair?" One moves up though the levels by giving increasing large amount of money. At the end of the quest, you get either a tractor or $2 million based on the choices you make. There is another cult in Fallout 4 called the Children of Atom, but you never get a chance to become a member, which is too bad because I really wanted to be recruited. The best part is that we've got the mantra for level one from Fallout4 for FREE!
" I deserve a better life. A better life is coming." Can't wait for level two. That's when good things really start happening! Veda's post courtesy of another thread. Due to physics, after Dr. Hubbard's proclamation (above) was filtered through the Hubbard Law of Commotion1 what actually happened in the MEST universe (on OT levels) was at very slight variance with his one-hundred percent [STRIKE]standard[/STRIKE] holy scripture. At least the second part of Ron's infallible statement is true. Above Clear, there are in fact only various drills2 and familiarization processes3. 1 Hubbard Law of Commotion: (physics) Analogous to Newton's Law of Motion, Hubbard discovered the immutable 'Law of Commotion' which states that: "In Scientology, for each and every policy or piece of tech, there is an equal and opposite policy and piece of tech." Thus in any situation or dispute, Scientology tech can maintain its astonishing 100% record of always being correct. 2 Various drills - CORRECT: While Scientologists are on the spiritually advanced OT levels, their registrars run them through various drills based on the book 'Big League Closing Techniques'. 3 Familiarization Processes - CORRECT: While on the OT levels, the Pre-Ot also twins with their registrar on familiarization processes--to help them become familiarized with the Pre-OTs charge cards and available credit limits. 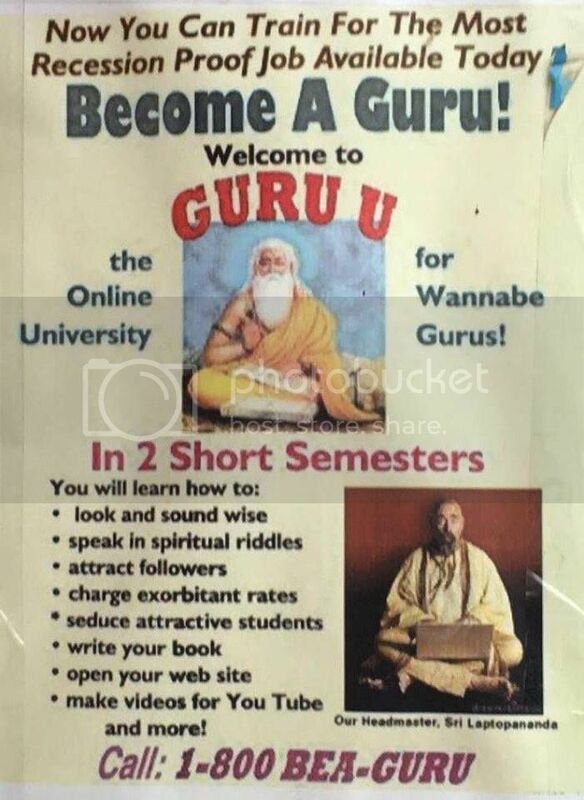 I am done with Gurus. I am done with Gurus for the next *Billion* years. If that's what it takes to get "closer to God" I believe I'm going to keep my distance! SAN DIEGO (CNN) -- Autopsies on those who died in the Rancho Santa Fe mass suicide show that some followers of the Heaven's Gate cult -- including leader Marshall Applewhite -- had been castrated. L Ron Hubbard spent his final days living in Bluebird motor home. L Ron Hubbard created Dianetics but later, in 1954, created Scientology (I know, created gives it too much credibility but bear with me). Between 1951 and 1953, the CIA ran a mind control program called Project Bluebird. The purpose of this project was to instill in the subject multiple personalities (think BT's). They were also able to produce an actual Manchurian Candidate. BLUEBIRD is the cryptonym for a CIA mind control program that ran from 1951 to 1953. Other mind control programs include ARTICHOKE, MKULTRA, and MKSEARCH. The purpose of the book BLUEBIRDis to prove that the military and the CIA have been creating “Manchurian Candidates” for operational use since the second world war. This fact is described repeatedly by G.H. Estabrooks and in CIA documents on BLUEBIRD and ARTICHOKE obtained through the Freedom of Information Act. By research at the medical school library, ordering out-of-print books, and requests filed through the Freedom of Information Act, Dr. Ross has built up compelling documentation of the fact that the CIA and military intelligence agencies have been creating multiple personality experimentally, and using these subjects in courier and infiltration operations. In that case, let me respectfully suggest that you join Scientology, the world's most advanced TAC1 on this planet! The procedure is done painlessly and without sedation--avoiding all engrams which (in the future) will reduce tech estimates and save you lots of money on needless auditing! Mankind owes a debt of gratitude to one Dr. L. Ron Hubbard who invented the PFB technique ('Pain Free Ballectomy'). Over decades the methodology was further refined and eventually became known as "Ethics". Sorry to hear that, but don't give up hope! So many people sign up or join up with a cult and find it just doesn't meet their needs. They find they work too many hours, or not enough. They get discouraged because they find, no matter how hard they try, they just don't get the recognition they were hoping for. They're promised relief from confessing but find themselves in the same old repetitive transgression rut. Confessing to the same old transgressions and not experiencing new and different ones to give up. Not really getting that tingly outer body experience they were looking for or finding it short lived. People still don't do what you say no matter how much you command them using the different methods of getting in their face so they get it. Experiencing more punishment than what you give out making you feel your just not making the progress you should. Meals have become boring or lack luster if you get them. Not being allowed to finish one program before being pushed to start another. No one seems to get you like they did when you first arrived. Tired of the same old mantras and rituals which seem like so much dissonance after a while. Well at 1-800- cult hook up we have gone through more than 800 cults for you so that you can stop wasting time and get the enlightenment you were always dreaming of. No more hours and hours of back breaking labor just to find yourself back doing more because you can't get over your bad habits. No more going over the same scripture just to find you really didn't get it the first time and have to start over. Permanent job opportunities without getting busted down and losing status. New and different transgressions to confess to and make real progress . People who will now listen to you because that look in your eye tells them you mean it. Work details that fit your capabilities and not someone elses. So don't give up, get hooked up with the right cult for you. It's as easy as picking up the phone and calling 1-800-cult hook up. You'll be so relieved you did and it's sooooo easy. freethinker, I'm actually surprised there isn't an online dating site to go with that toll free telephone number! Oh, and could you possibly give us a few examples of those "new and exciting transgressions to confess"?